Keratin Hair Treatment Is the Only Effective Alternative! Keratin hair treatment anyone? You don’t have to ask. Surely, millions know by now the benefits that Keratin hair treatment gives to the hair. It doesn’t need an introduction anymore and it has also withered the blistering negative attacks it suffered. Now there are more people who believe in its positive influence on the hair in general. Keratin hair treatment has become an institution for people who are looking for the best alternative to their hair problems and it has been delivering on its promise to dispense nothing but a perfect hair. If you have any hair problems, there’s only one remedy that’ll bring the best out your hair and that’s Keratin hair treatment. Of course even your healthy hair needs Keratin hair treatment. The reason is that no hair remains healthy for a long time. Like how healthy people have to take vitamins and minerals to maintain their vigor and stamina, hair needs it too. It needs maintenance and keratin is vitamins for hair. You can’t expect to maintain your super performing hair without having Keratin hair treatment. When the hair’s keratin supply goes low, it needs replenishment and you know how to do it. M&M International has the special Keratin hair treatment formula just in case you require a refill. What are the real life situations that affect the keratin supply in our hair? Too much exposure to the sun. It doesn’t have to be scorching. Even on cloudy days the UV is at work, wreaking havoc on your hair’s natural splendor. A splash in the swimming pool with its chlorine concentrate and the salt in the sea. Smoking and getting smoked on and other pollutants. Alcohol is a major keratin depletory agent. These are just a few of the conditions that lead to the lowering of hair keratin supply. Keratin hair treatment should be done regularly to keep the hair glowingly alive, vibrant, and well disciplined. Keratin treatment is a 24/7 affair when there’s keratin in your hair. What ails most of the hair is when the supposed treatment is the one killing it. Harsh inorganic chemicals, too much and constant heat, and hot iron application and unknown hair products are some of the hair killers. Even with keratin treatment it’ll take months to restore the hair and remove the residual effects of these non-keratin hair treatment formulas. Keratin hair treatment has proven to be effective without doubt and millions can attest to this, not only here in the US but all over the world. There’s no reason really to make your hair a lab rat. Don’t try using untested hair treatment formulas out of curiosity. Your hair may survive the worst effects but what if it doesn’t? Are you going to say goodbye to your hair forever? 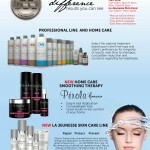 M&M International Keratin hair Treatment products are leading the way. Marcia won’t have it in any other way. That’s why the drive for excellence never stops. The pursuit to provide the best Keratin Treatment solution is always the top priority.